Thinking about a career in real estate? Or already licensed and interested in learning more about Property Consultants Realty? You’ve come to the right place! If you’re looking for a great real estate school…Look no further! 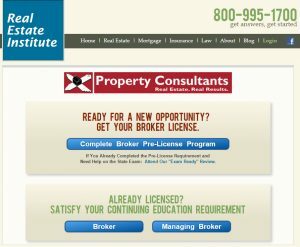 We have a great partnership with the Real Estate Institute. Click Here for more information.